After its initial appearance in New York in 1999, West Nile virus spread across the United States in just a few years and is now well established throughout North and South America. Both the mosquitoes that transmit it and the birds that are important hosts for the virus are abundant in areas that have been modified by human activities. As a result, transmission of West Nile virus is highest in urbanized and agricultural habitats. "The virus has had an important impact on human health in the United States partly because it took advantage of species that do well around people," said Dr. Marm Kilpatrick, a biologist at the University of California, Santa Cruz, who studies the ecology of infectious diseases. West Nile virus can infect a wide range of animals, including more than 300 species of birds and 60 species of mosquitoes. It also infects mammals, reptiles, and even amphibians. But researchers have found that in most places only a few key species of bird "hosts" and mosquito "vectors" are important in transmission of the virus. "We now know that in any given location, only one or two species of mosquitoes play a big role, and only a handful of birds appear to be important in overall transmission rates," said Dr. Kilpatrick, who reviewed a decade of research on the ecology and evolution of West Nile virus in a paper published in the October 21, 2011 issue of the journal Science. 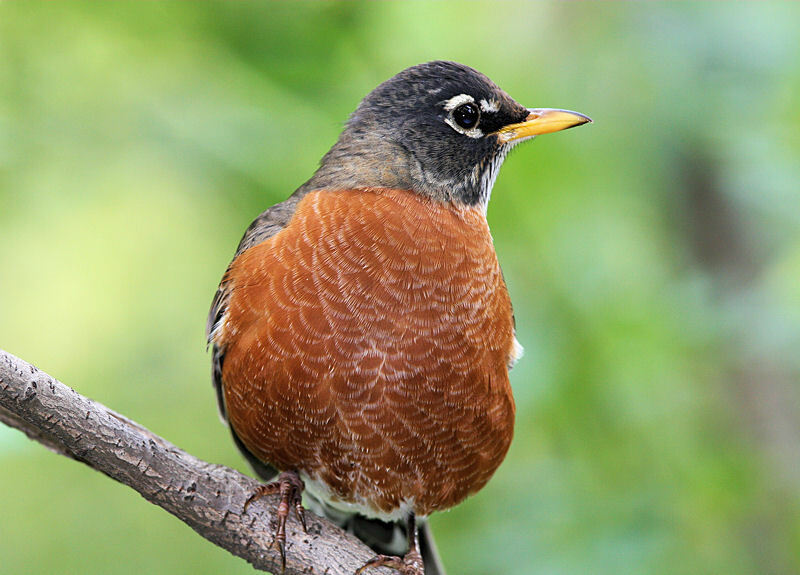 According to Dr. Kilpatrick, the familiar American robin plays a key role in the transmission of West Nile virus across much of North America. It is such an important host species that Kilpatrick calls robins "super-spreaders" of West Nile virus. The reason is not so much the abundance of robins, but rather the feeding patterns of the mosquitoes that transmit the virus. Using one of the largest DNA data sets for a group of birds and employing next-generation sequencing (NGS) methods, Smithsonian scientists and collaborators have determined the evolutionary family tree for one of the most strikingly diverse and endangered bird families in the world, the Hawaiian honeycreepers. 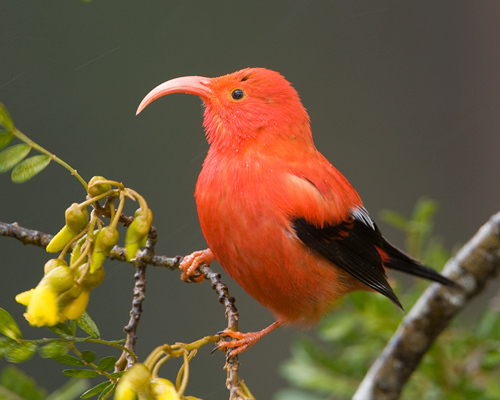 Not only have the researchers determined the types of finches that the honeycreeper family originally evolved from, but they have also linked the timing of that rapid evolution to the formation of the four main Hawaiian Islands. The findings were published online on October 20, 2011 in Current Biology. "There were once more than 55 species of these colorful songbirds, and they are so diverse that historically it wasn't even entirely clear that they were all part of the same group," said Dr. Heather Lerner, who was a postdoctoral researcher at the Smithsonian Conservation Biology Institute's (SCBI’s) Center for Conservation and Evolutionary Genetics when she conducted this research, and is currently an assistant professor of biology at Earlham College and Joseph Moore Museum director. "Some eat seeds, some eat fruit, some eat snails, some eat nectar. Some have the bills of parrots, others of warblers, while some are finch-like and others have straight, thin bills. So the question that we started with was how did this incredible diversity evolve over time," Dr. Lerner said. The answer is unique to the Hawaiian Islands, which are part of a conveyor belt of island formation, with new islands popping up as the conveyor belt moves northwest. Each island that forms represents a blank slate for evolution, so as one honeycreeper species moves from one island to a new island, those birds encounter new habitat and ecological niches that may force them to adapt and branch off into distinct species.